Equities fell for a fourth straight session as they ended marginally lower today as wholesale inflation hardened in May while the US Federal Reserve meet and Brexit referendum kept investors on sidelines. Bucking the trend, shares of PSU banks gained up to 8 per cent after Reserve Bank came out with a scheme for resolution of bad loans of large projects wherein a portion of the debt will be converted into equity or other instruments. Punjab National Bank went up by 7.90 per cent, SBI gained 2.65 per cent, Indian Overseas perked up 1.93 per cent while Bank of Baroda rose 1.91 per cent. Retail investors also defied the overall trend and widened their bets, with small-cap and mid-cap indices rising 0.54 per cent and 0.18 per cent, respectively. “Data showing rise in both wholesale and consumer price inflation dampened hopes of a cut in benchmark rates by RBI at its next policy meeting in August,” said Shreyash Devalkar, Fund Manager Equities BNP Paribas Mutual Fund. A double-digit spike in vegetables prices pushed the wholesale price-based inflation to 0.79 per cent last month, prompting the industry to demand policy action for addressing supply side constraints. Retail inflation for May had hit a nearly two-year high of 5.76 per cent earlier. The 50-issue NSE Nifty after hovering between 8,134.95 and 8,069.50 settled the day 1.75 points or 0.02 per cent down at 8108.85. 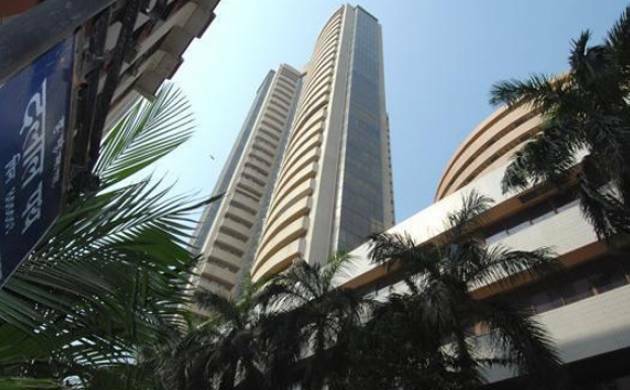 The benchmark BSE Sensex after opening in positive terrain at 26.482.50 advanced to the day’s high of 26,485.45 on value-buying in recently battered bluechips. However, higher levels could not be sustained as investors cut positions at every rise and dragged down the index to 26,395.71, a minor fall of 1.06 points. The gauge had lost 624 points in the previous three days after factory output fell in April amid continued global sell-off on growing anxiety over Brexit. The Fed’s rate-setting two-day meeting will kick-off today while Britain will vote on June 23 to decide on its future in the European Union. In stock specific action, Bajaj Auto suffered the most on BSE by falling 1 per cent to Rs 2,561.20 followed by Maruti Suzuki at 0.93 per cent at Rs 4,096.90. Overseas, European and Asian stocks fell following a lower finish in the US stocks overnight as investors looked ahead to central bank meetings in the US and Japan. Key indices in Asia like Hong Kong, Japan, Singpaore and South Korea dropped by 0.36 per cent to 1.00 per cent, while China-based shared perked up. From Europe, France, Germany and the UK based indices fell between 0.86 per cent and 1.34 per cent.